The Born Dampney may be simple in style, but it’s exceptional in comfort. This women’s sneaker is made from Born’s Opanka Handcraftsmanship making them super flexible, yet durable. 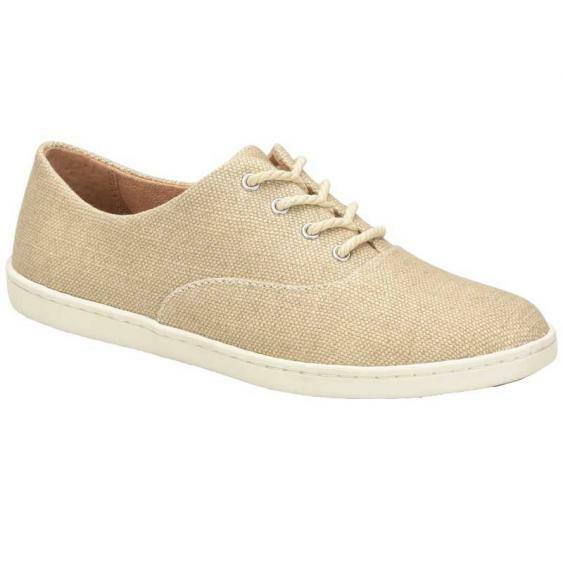 The fabric upper offers breathability and an abrasion free fit while the removable cushioned footbed offers support. The outsole of the Dampney is make from rubber for traction and the contrasting white color keeps this simple sneaker on trend.